All three of these products are simple but lovely products for anyone who wants baby soft skin. They all smell fresh and lovely, but neutral enough not to interfere with any perfume. A little goes a long way with the body wash, it really is gorgeously creamy and if you use a shower loofa thingy, it will lather up fantastically and a dollop, the size of a large grape creates enough suds for my whole body. 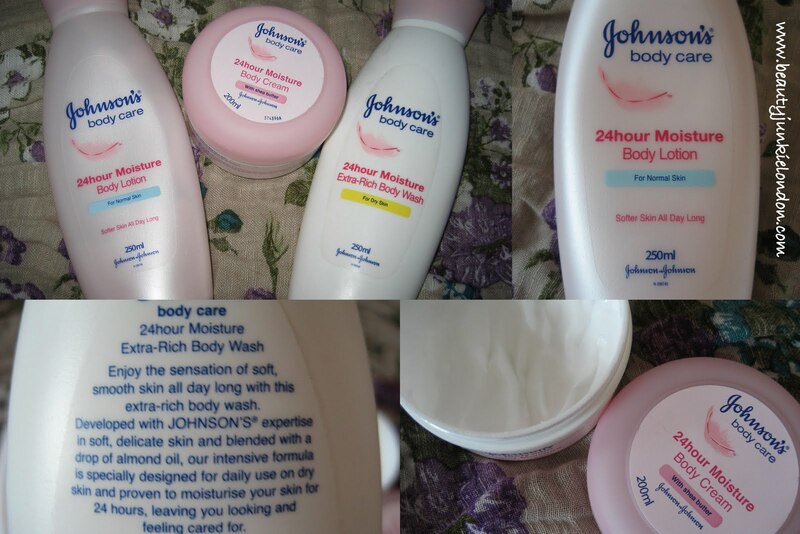 I find both the lotion and the cream moisturiser about the same in texture, they are both quite liquid and light-weight but also very efficient at keeping skin soft. I would say that I prefer the lotion to the cream, although I struggle to put my finger on exactly why as they really are very similar. I think it might just come down to the packaging – the lotion is slightly easier to dispense than the cream (the one in the tub). Lovely stuff, a good beauty basic that I would come back to again and again. These products were sent free of charge. All reviews are honest and impartial – all opinions my own. Im having a Lush giveaway for all my beauty lovers nsiscaretti.blogspot.com or youtube.com/user/nsiscaretti. Have a great weekend!